Share the post "Day to Compare"
Since most of my previous years have been spent working on Veterans Day, I decided to take a day’s drive to La Crosse Wisconsin. Oh Mercy what a journey on a day like today! In making my last minute decision to drive there before I retired for the evening last night, I made one huge mistake—I didn’t check to see what the weather would be like. Since time is always of the essence, when I left this morning around 7:00 am, I thought that it would be best to drive the longer yet faster way via the Interstate Highway System. Well, as I approached the border of Minnesota, I found the very light flurries turning into real life snowflakes and the highway was getting a bit slippery. So, my next thought was to find Home Depot and get a few bags of sand to put in the rear of my vehicle to stabilize the weight. To my chagrin, I took the wrong exit and found myself doing a nearly full half circle around Albert Lea Lake. And by the way, most people don’t know this. Albert Lea has been working really hard at cleaning up their lake. 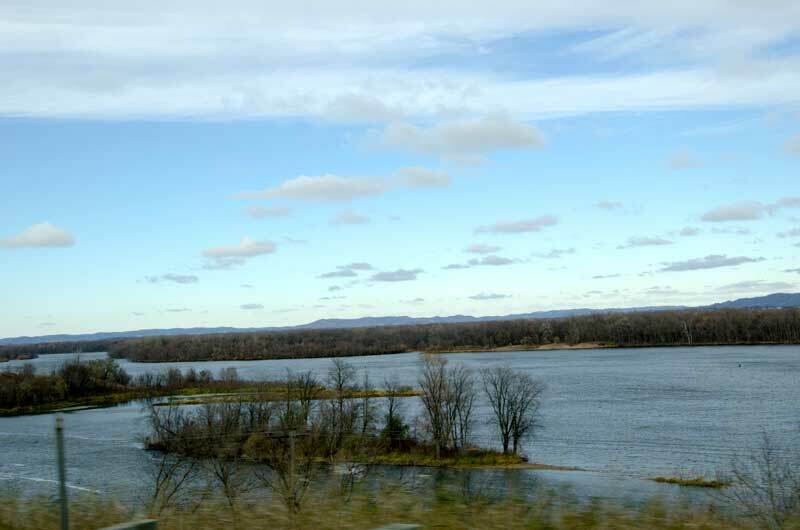 The bonus for us here in North Iowa is that the Shell Rock River’s beginnings are with Albert Lea Lake. I really love the Shell Rock River. I wish more people would take the time to explore it. For me, it is an all season river. No matter what time of the year, it is always beautiful. Well, I finally found Home Depot and purchased the sand bags and certainly glad I did. The weather became more and more frightful as I was driving east towards Austin and Rochester. Several times I considered turning back and returning to Mason City. The stubbornness in me kept me returning to Mason City because I wanted to see LaCrosse after so many years of having not visited that city. I will always remember this trip because I had a near miss of a bad accident. An 18 wheeler was just passing me on my left, a car about 10 car lengths was ahead of me and all seemed normal. Well, the 18 wheeler sprayed gunk all over my windshield and by the time my wipers got it off, I discovered the car in front of me was coming to a near stop. I couldn’t pass because I could tell my vehicle wanted to start spinning so I pumped and pumped and pumped some more my brakes. Thank Heaven that I was able to stop. Ahead of me were at least 35 cars stopped waiting around a bend for the Highway Patrol and the biggest wrecker I have ever seen pull an 18 wheeler out of the ditch. After that incident, my journey to La Crosse was just fine. I spent about two hours driving up and down streets, criss-crossing the Mississippi between Minnesota and Wisconsin. I purchased naturally grown apples, onions, potatoes and cranberries from several different vendors in the surrounding villages. La Crosse is very old and charming but I did find yet another reason why Mason City has a great opportunity to grow their Historic District. They have too many one way streets trying to accommodate highway traffic in the downtown. I would have stopped and parked but the traffic was too heavy so I just visor viewed. 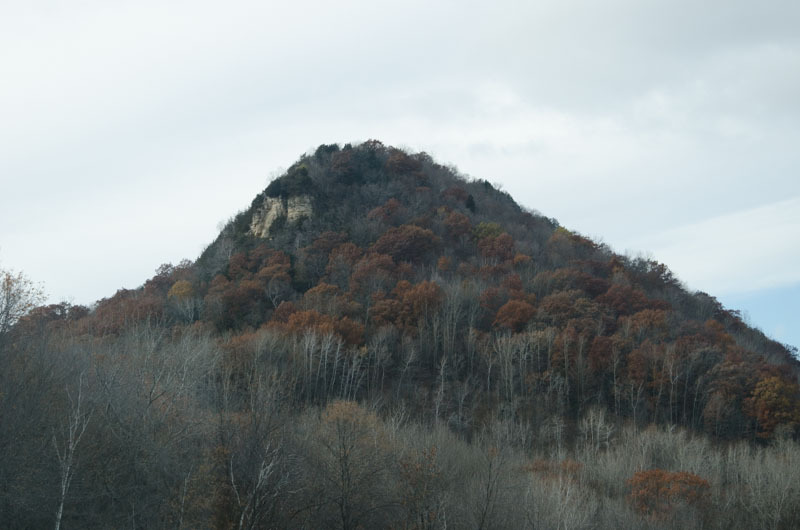 One thing eastern Minnesota and western Wisconsin has over North Iowa is their natural beauties—and that’s it. If we can’t have the natural beauty then I’ll settle for the man-made historic beauty. It was a good day to compare.